It’s 3 AM and you’re riding through the streets of New York City in the airport shuttle, on time to arrive the recommended three hours before your international flight is scheduled to leave. You’re bleary eyed after only two hours of sleep on your little brother’s couch, which you were obligated to share with his two cats – adorable, but who don’t understand that night time is for sleeping. While the sight of a short security line is usually cause for celebration when you’re traveling, it’s not such a welcome site when you’ve purposely cut short your limited sleep time in order to leave time for security. In the situation outlined above – one that I experienced less than a month ago – the site of a short line makes the average traveler’s heart drop. Conversely, a long security line can mean the difference between making or missing a very expensive flight. No one likes waiting in the airport, especially in the wee hours of the morning. I’m not the only traveler who has dealt with a way earlier than necessary arrival time. Mike Harmell faced this exact problem five years ago in Japan when he left home four hours early in order to make his international flight to Shanghai. Totally reasonable, right? Wrong. 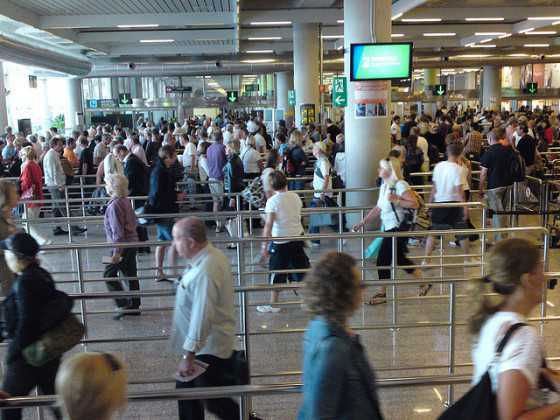 Mike arrived at the airport with 3.5 hours to spare – a considerable amount of time for anyone, much less a busy businessman – and no security line to speak of. He realized that there probably were hundreds of other travelers out there facing the exact same problem: wasted hours of their lives spent in the no mans land of airport waiting areas. His solution? 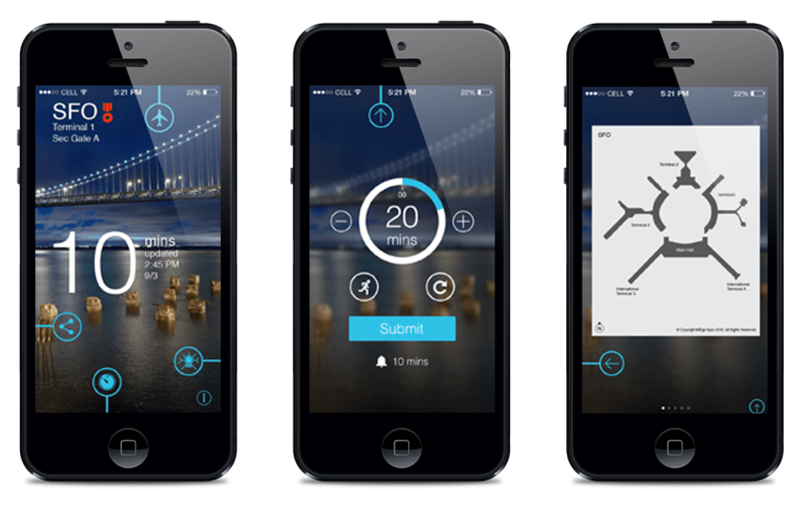 MiFlight, an app that utilizes the power of the crowd to determine just how long the wait at the airport is. Users log their wait time from the airport, allowing others to find out if they need to splurge on that taxi in order to get there on time or if they can take a few extra minutes at breakfast. Sounds good, right? Knowing the actual wait time at an airport has the potential to make air travel exponentially more efficient. Mike and his team at MiegoApps point out that 2.6 billion people traveled through the top 50 busiest airports last year. If they all arrived 30 minutes earlier than necessary, that’s 1.3 billion hours or 148,000 years wasted. Now, if even half of those people were on MiFlight reporting wait times to each other, a total of 74,000 years of time could be saved. That’s a whoooole lotta time. MiFlight needs two things to become your go-to travel app: money and more users. Like the now super popular driving app Waze, MiFlight relies on a certain critical mass in order to accurately report wait times at airports. Think of it as traveler karma: you give into the system what you’re going to get out of it.